Episode #4: Snow and Ice Removal - Boston Real Estate Attorney. Eviction Law. Zoning and Variances. Housing Discrimination. Many landlords falsely think that assigning the task of shoveling to their tenant will protect them against financial loss. This often isn’t the case. 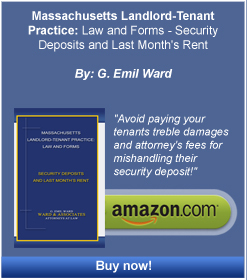 The tenant may not do duty or do poorly, and if that happens you might be included on the lawsuit. After all, you’re probably the one with the deep pockets. Without knowing your situation, we can still suggest here that you may want to have someone hired to take care of this task if you can’t do it yourself because of all the risks involved. Rules change based on what city you are in. Boston ordinances give you three hours after the snow has ended to shovel the sidewalk (if it is daytime). Cambridge, on the other hand, gives you 12 hours or before 1:00pm the day following the snow storm. To find out the laws in your city or town, check out their website, or for extra support you could contact our law firm.